Traffic heading to Los Angeles International Airport was heavily delayed after a power outage on Wednesday, Aug. 5, 2015. 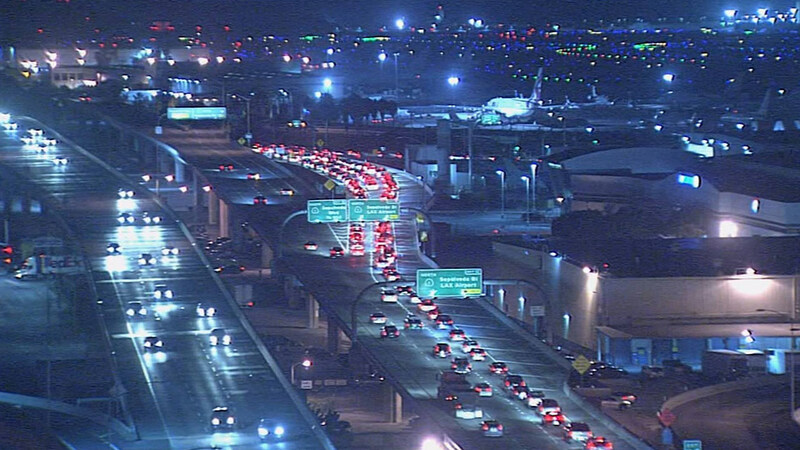 LOS ANGELES -- A power outage at Los Angeles International Airport Wednesday night caused major traffic delays. The power outage impacted traffic signals and some elevators and escalators. Airport police was directing traffic. No flight delays were expected. The power was expected to be back up by 10 p.m.